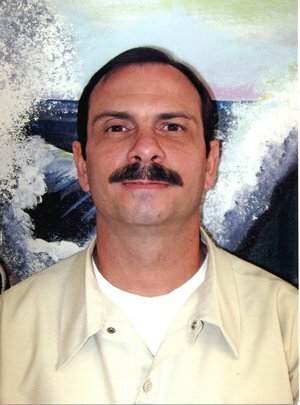 On Feb. 27, 2014, when Fernando González is released from Safford federal prison in Arizona, he will have completed 15 years, 5 months and 15 days of an unjust imprisonment imposed after a U.S. government political prosecution. Each day has been a cruel punishment for Fernando and his Cuban Five brothers, who courageously sacrificed their well-being to defend their homeland and the people of Cuba from the scourge of terrorism that emanates from Miami with the full knowledge and protection of Washington. But Fernando will not simply walk out of Safford on Feb. 27. As one of his appeals attorneys Richard Klugh explains, since Fernando is not a U.S. citizen, he will be detained temporarily by immigration authorities. "In order to facilitate his immediate return to Cuba, he has quashed any pending appeal or Habeas proceeding, so that it cannot be used as a basis to keep him here. And he has waived any right to contest his deportation to Cuba. Fernando has that paperwork completed and negotiations are taking place for what we hope is an immediate return to Cuba and his wonderful family." Fernando's sentence was reduced to 17 years from the original 19-year term after his resentencing in 2009, and 13 percent credit reduction is given for good behavior in federal prison. "Fernando has been a model prisoner in everything, he has never had any incident whatsoever," said Klugh. As Fernando's freedom approaches, Klugh says, "Everyone on the defense team has always had strong feelings and a bond with Fernando. He is an extremely sensitive and caring person, extremely mild-mannered, strong and honorable." We are hopeful for the return of Fernando to his family and to Cuba. We honor his integrity and the commitment to the freedom and security of his people. We pledge to keep fighting to ensure that justice is done and that Gerardo, Ramón and Antonio can join Fernando and René and return to their families in Cuba as soon as possible. Organize a rally or other action on Wed., March 5! The National Committee to Free the Cuban Five is urging all Five supporters to organize public actions for Wed., March 5, especially at this time following Fernando's release from U.S. prison. If he is home in Cuba by then, the rallies will celebrate his return, and highlight ever more the urgent need for Gerardo, Ramón and Antonio to be freed immediately. 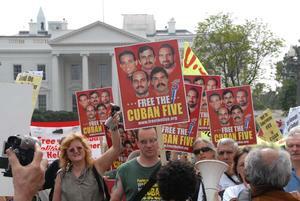 If Fernando is still in the United States, March 5 rallies will contribute greatly in demanding that the U.S. government allow Fernando to return home to Cuba right away. The Vancouver Free the Cuban Five Committee will celebrate its 100th protest at the U.S. Consulate in Vancouver on March 5 calling for the Cuban Five's freedom. Let's join our Vancouver friends with actions in the United States and worldwide! March 5 will give special attention as well to the International Commission of Inquiry in London, March 7-8. Send us your action information to info@freethefive.org and we will post on our calendar!